These tubes are spray coated with Lithium Heparin. Heparin activates anti thrombins, thus blocking the coagulation cascade, produce a plasma sample. Gently invert the tubes 180° 5-8 times immediately after blood collection or mix in roller mixer. Centrifuge at 2000-3000 rpm for 10 min. at room temperature. 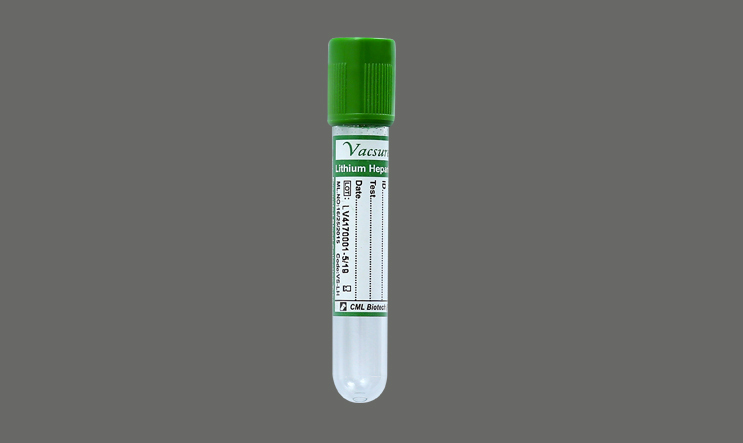 Used for emergency Biochemistry test, Endocrine and metabolic disorders, Therapeutic Drug monitoring and Toxicology, Electrolytes, Clinical chemistry, Serology and immunology etc. Lithium test should not be performed using Lithium Heparin tubes.